Most people in Forest Hill know Pauline Wright, owner of Sugar Mountain on Dartmouth Road, but we wanted to know more about the person behind the sweets and ice cream. What made you want to open a sweet shop? Originally another local and I were planning to open a coffee shop with a sweet shop within, where The Perryvale is now - but it didn't quite work out so I decided to open a sweet shop on my own, which suits me down to a tee as I'm just a big kid at heart! Did I see your shop on TV? Yes, recently ITV's Lorraine filmed a fashion shoot at the shop which was shown in early September, but watch this space as a pilot was filmed recently by a local TV and film director for CBBC. We'll have to wait and see what happens with that. I hear you have a bit of a 'musical' past, can you tell us more? I trained at The Urdang Academy of Performing Arts which was in Covent Garden at the time. Amongst other things I did a stint in Starlight Express, but the funniest thing I did was dance in an Always Ultra advert when they first started selling them. It took a while before I lived that one down! When did you move to Forest Hill? I moved to FH about 16 years ago and before that I lived in Beckenham for a while, and Brockley for a few years. Before that I lived in North London. But I first moved to London from Glasgow in the 80's which is why I've got a funny accent! I must say that after living in FH I'd never live anywhere else. I love the vibe and feel of FH and most of all the community spirit. What positive changes have you seen in Forest Hill since you opened the shop? The pools have re-opened and V22 have moved into Louise House (I'm looking forward to the community space when it's finished). Lots of independent shops have opened including The Archie Parker, The Butchery, Aga's Little Deli, Best of Both and Kids on The Hill, and The Framing Salon to name a few and I'm looking forward to more new shops opening soon on Dartmouth Road. One of my favourites though is our street piano. You've been involved in lots of community activities including setting up a grotto for santa in previous years, and Forest Hill Fashion Week. What has been your favourite memory? I've loved doing all of these, so it's hard to choose. My favourite event recently has got to be the FHFW alternative catwalk show with Pavement2Catwalk. For this we worked with Seniors Lewisham (aka Silver Threads), as well as people affected by mental health issues, physical disabilities, homelessness, addiction and domestic violence. Myself and Donald are planning on extending this part next year by working with more groups in the community. My all-time favourite memory is the fundraiser I did for The Evelina Children's Hospital a couple of years ago which I done because my little customer Riley has a rare kidney disease. She's now doing really well after her transplant. This was such a fun event which included my shop landlord singing, another of my little customers playing classical music on the piano, an auction where all the other shop keepers donated items and last but not least dancing a Greese medley with other traders, customers, and friends. The best part of the event was raising around £1000 for The Evelina. Are you involved in Forest Hill Traders Association? There's quite a few of us that are active in FHTA and we all bring something different to the table which works really well. We'll be launching a new website soon to coincide with the unveiling of our new shop directory which will be at the station forecourt. It will be very different from the stand that's there at the moment. It will be made from bronze castings and treated oak with a sculpture on the top. You'll have to be at the unveiling to see the amazing sculpture that Cyrus from The Framing Salon & Stag & Bow has designed for us. 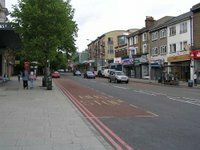 What advice would you offer to somebody wanting to open a shop in Forest Hill? Do your research. I did a year’s worth of research before I opened. Check what business rates you will have to pay on the unit you are taking on as this can sometimes be a bit of a shock if you're taking on a large shop. Last but not least come and have a chat with the local shop owners. Most of us chat to our customers, so know what they would like to be added to the independent shops we have already. 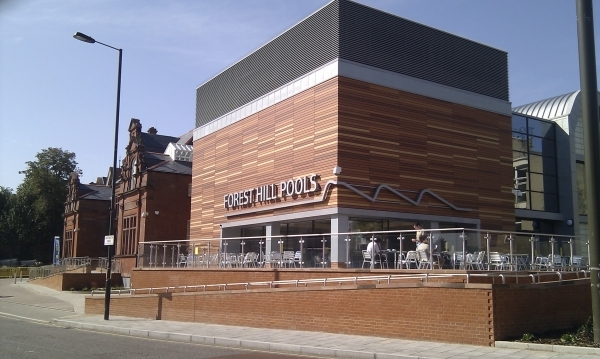 If there was one thing you could change in Forest Hill, what would it be? Pedestrianise Dartmouth Road so we can have a street party every weekend.